Every time a satellite is launched, a new launch vehicle needs to be constructed which is a costly affair for both the government and the space research organizations. To bring this cost down, our very own incredible space agency Indian Space Research Organisation (ISRO) is ready to test re-usable satellite launch vehicle in September. The reusable satellite launch vehicle will take off like an airplane and thereafter will fall by gliding and splashing down into the sea. The technology will bring down the cost of a satellite launch to one-tenth. 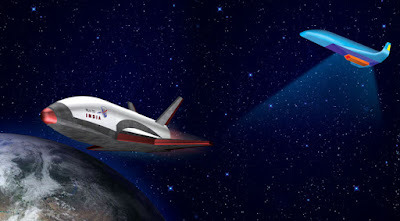 “The launch vehicle will be landing for the first time in the ocean and the ultimate attempt is to make it land at an airstrip at Sriharikota,” ISRO chairman A.S. Kiran Kumar said at a press conference. Mr. Kumar said wind tunnel modelling and other tests had been completed. “It is in starting point. There is a long way to go,” he added. Minister of State for Department of Space Jitendra Singh said 11 satellites were launched in the last one year and by next year the Indian Regional Navigation Satellite System would be operationalised. It will be only the third such system in the world. Last December, ISRO sent up a 3.7 tonne giant cup cake shaped module-called Crew Module Atmospheric Re-entry Experiment- to study its re-entry characteristics, aero-braking and validation of its end-to-end parachute system. Moreover, to promote space science and ignite interests of children in it Mr. Singh launched an android application named ‘Sakaar’. While explaining he said that Sakaar is an application that provides three-dimensional models of the ISRO’s project including Mars mission, satellites and launch vehicles. “We will be distributing this in schools and other institutes for free so that students can get a better understanding of our space working,” Mr. Singh said. There are currently no reusable launch vehicles in operation anywhere.